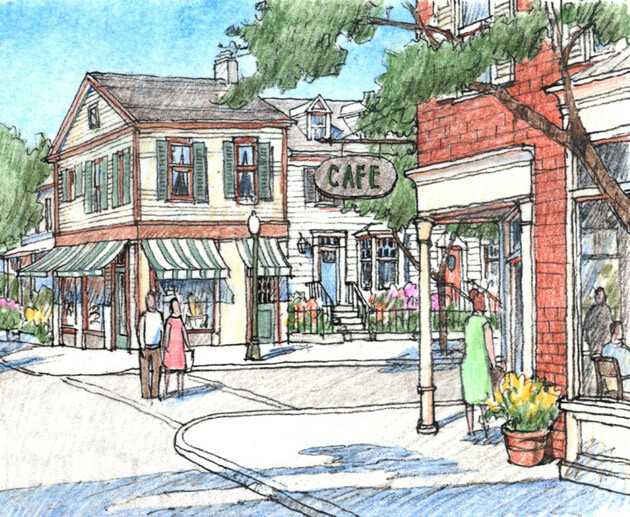 Located southeast of Philadelphia, this 420-acre new town fulfills the goals of New Jersey’s Smart Growth Initiative. 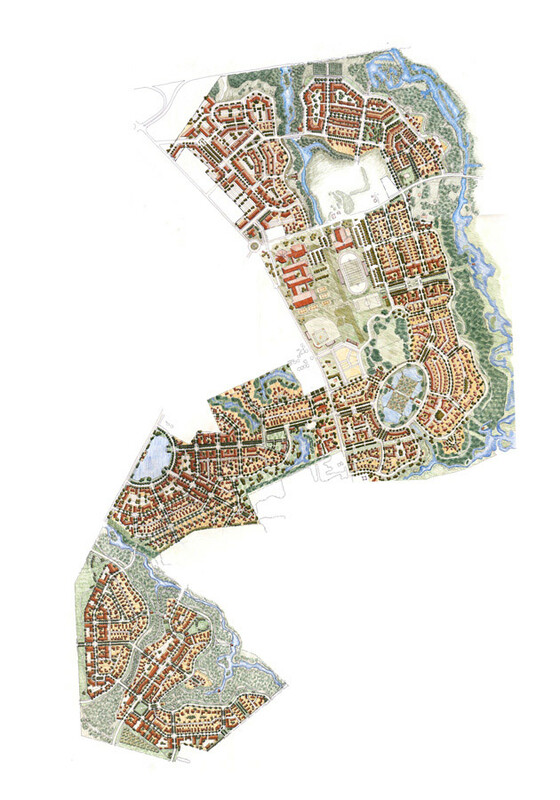 The master plan includes 200 acres that will be preserved in a natural state, with the remaining land used to create three unique villages totalling 3,000 units of housing and 200,000 square feet of retail and office space. Civic buildings such as schools, city hall and a fire station will also be constructed. 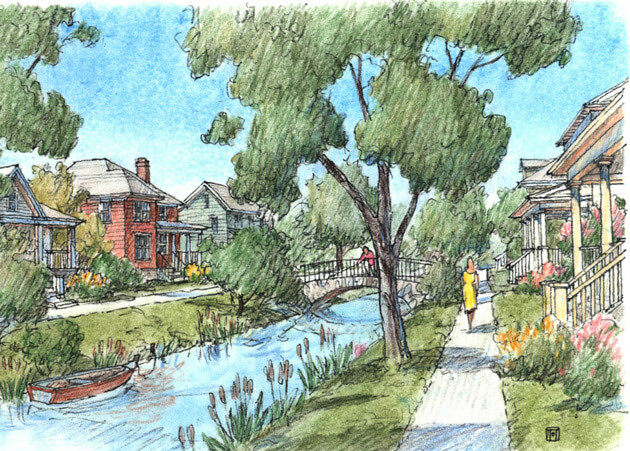 Diverse housing options include 250 affordable housing units plus courtyard housing, townhouses, apartments above retail, duplexes, granny flats, cottages and larger single-family houses. 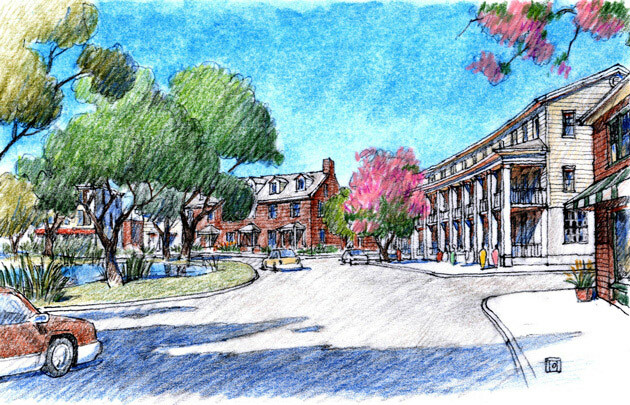 Each village center is located within a five-minute walk of all residences and each is near parks and open spaces.